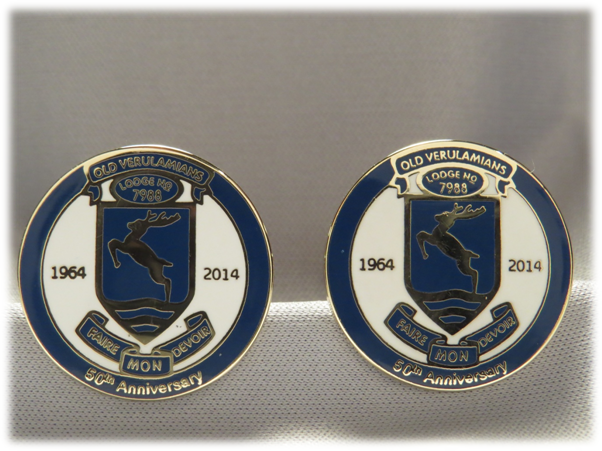 In celebration of the Old Verulamians Lodge 50th.Anniversary, this Limited Edition set of Cufflinks has been specially commissioned. Competitively priced at £10.00 complete in a Presentation Box, they will be available from now at all Meetings and Lodge Social events. Purchase your pair and wear them with pride on all future occasions.